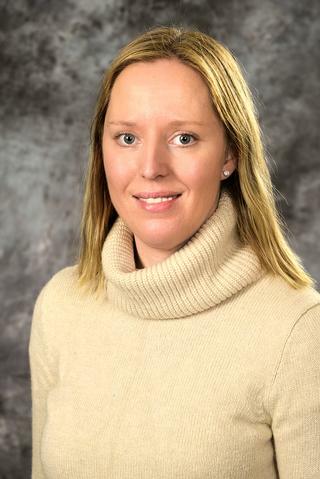 Ms. Dickinson began her nursing career in 2008, working on the inpatient pediatric neurology unit (4-1600) at the Golisano Children's Hospital at Strong Memorial Hospital. She greatly enjoyed working with the neurology patients in addition to others admitted for general pediatric issues. She worked full-time while obtaining her Master's degree at the University of Rochester. She started in this position in the summer of 2013, and has specialized in two areas. The populations she primarily works with include our pediatric neuro-oncology patients, and also those with neurofibromatosis (types 1 and 2) in our NF Clinic alongside our clinic director, Dr. Alexander Paciorkowski. We work closely with other specialties including Hematology-Oncology, Neurosurgery, and our colleagues in Plastic Surgery, and adult Neuro-Oncology. Additionally, she also works in the Neuro-genetics clinic, which is fascinating and very complex.